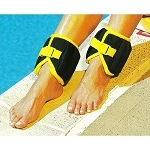 All-Pro Adjustable 5-lb Pair Ankle Weights have cushioned flaps to protect the ankle from friction. 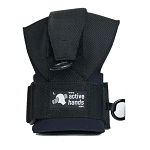 The All-Pro Adjustable 5-lb Pair Ankle Weights includes two five pound cuff weights with 1/2-lb individual weights. 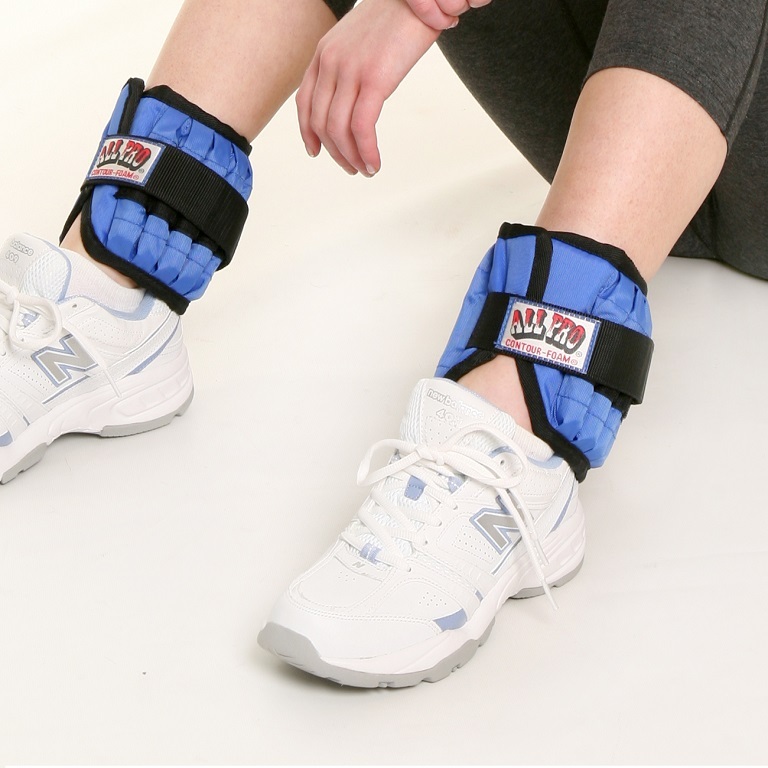 This pair of ankle weights was designed by a former leading occupational therapist with health, safety and comfort in mind. 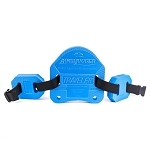 The All-Pro 5-lb Pair Ankle Weights allow the user to gradually add weight in half pound increments up to 5 pounds for each ankle. 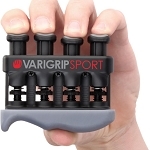 The solid bar weights easily slip in and out of the vertical pockets, but stay in place. 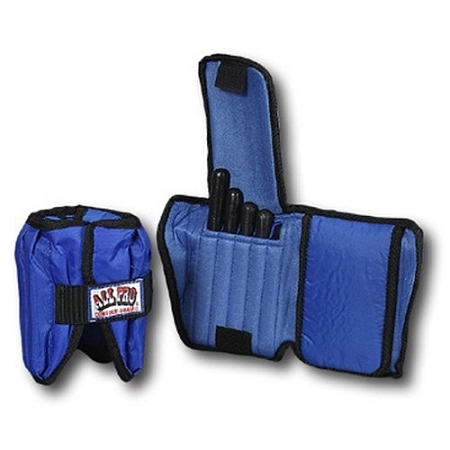 The cushioned flap folds over the weights to keep them secure and provide comfortable ankle protection. 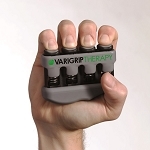 The patented design allows the user to freely move. 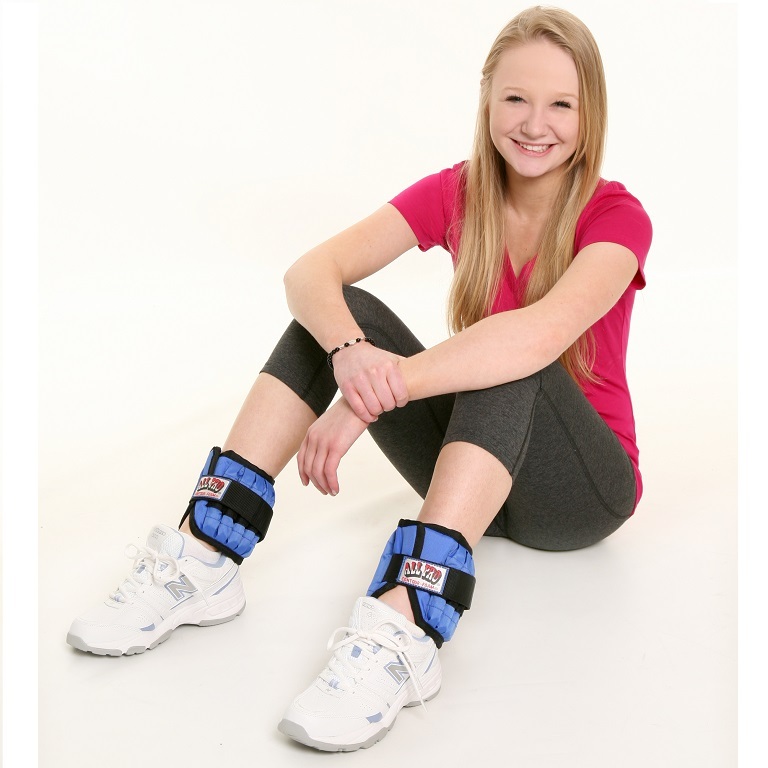 These ankle cuff weights are comfortable to wear and features a wide, secure, Velcro closure, internal padding and an Achilles cut-out for comfort and fit. 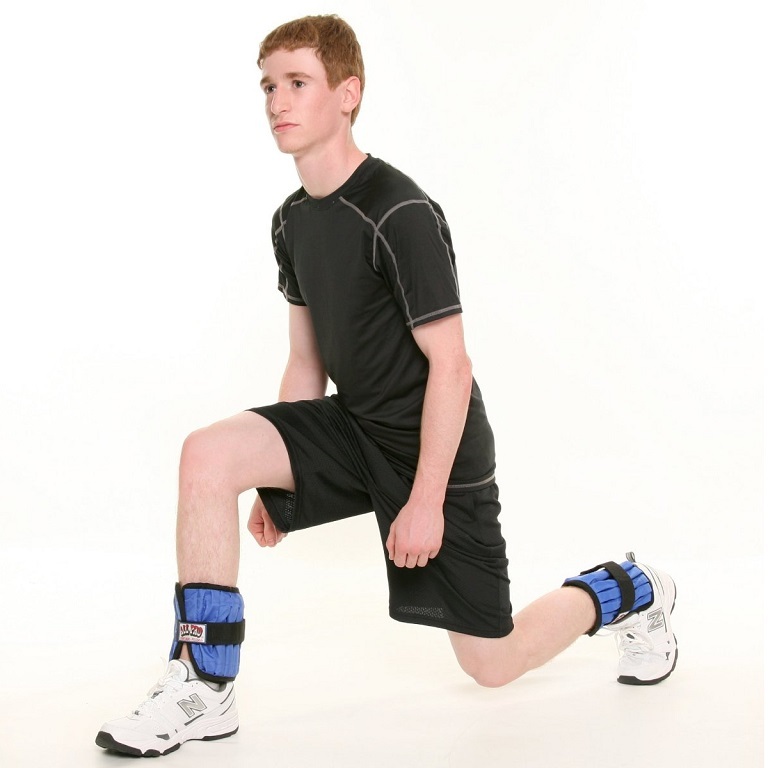 For users needing to increase leg strength, the All-Pro 5-lb Pair of adjustable ankle weight are ideal for therapeutic rehabilitation exercises. 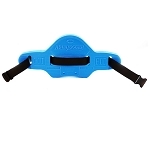 Includes: Two ankle weight cuffs, 20 individual 1/2-lb solid bar weights. Weighs: 10 pounds (5 pounds per ankle). 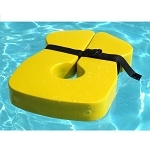 Q: Does each Ankle weight weigh 5 pounds and 2 pieces weigh 10 pounds ? 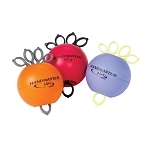 A: Each ankle weight can hold up to 5 lbs, totaling 10 lbs of weight.